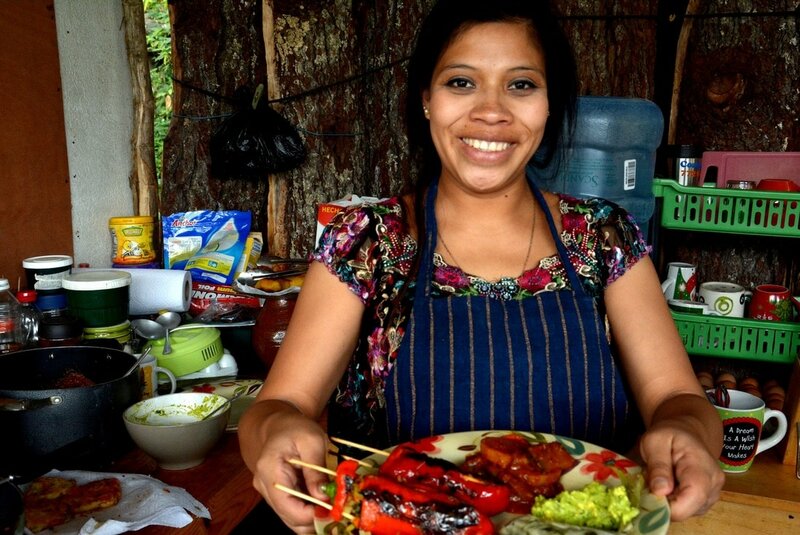 Learn how to cook with a local Mayan instructor! ​Wonder how those delicious comedor meals are prepared? Join a cooking class taught by Anita, a local Mayan instructor, and learn how to make authentic Guatemalan ​food! Our cozy kitchen patio overlooking Lake Atitlán is a great place to meet new people and share a fun experience together. From the local market to the dining table, you will be taken on a journey through traditional Mayan cuisine. What better souvenir to take home with you than a few amazing recipes - made 100% in Guatemala! See more photos from the kitchen! ​"We cannot say enough about our afternoon with Anita. The food, the stories, the cooking, the company... did we mention the food?? This was hands down the best thing we did in San Pedro!" ​​Lake Atitlán Cooking Class is ranked one of the top activities to do in San Pedro and has received excellent reviews on TripAdvisor from past students! ​Join Mayan Kitchen on Facebook and see posts from our classes!